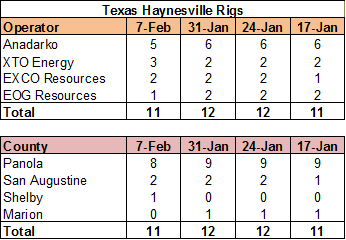 The Haynesville Shale rig count was down three last week to 25. 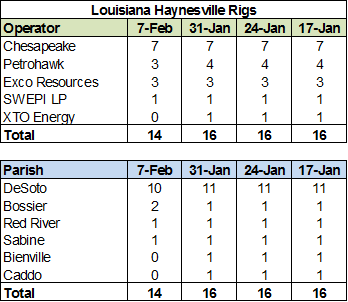 Louisiana was down two to 14 (XTO shifted a rig to TX and Petrohawk was down one) while Texas was down one to 11 (Anadarko and EOG down one, XTO up one). 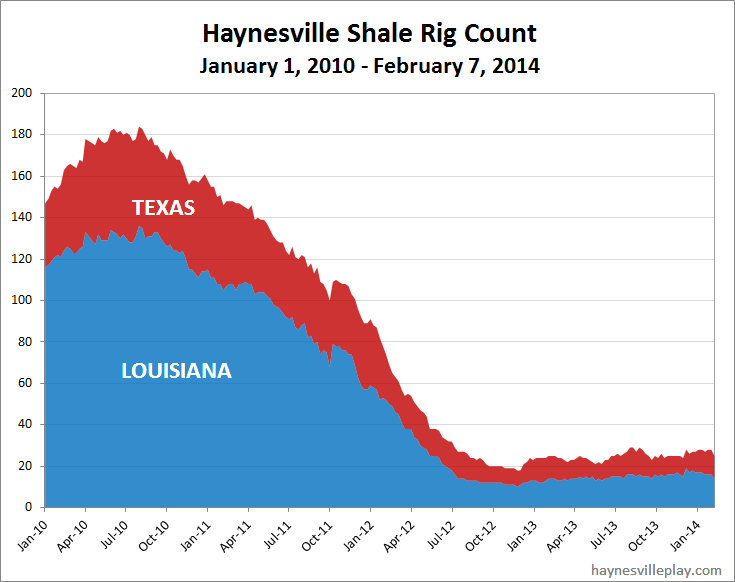 Petrohawk Owners: Don't File Your Taxes Yet!